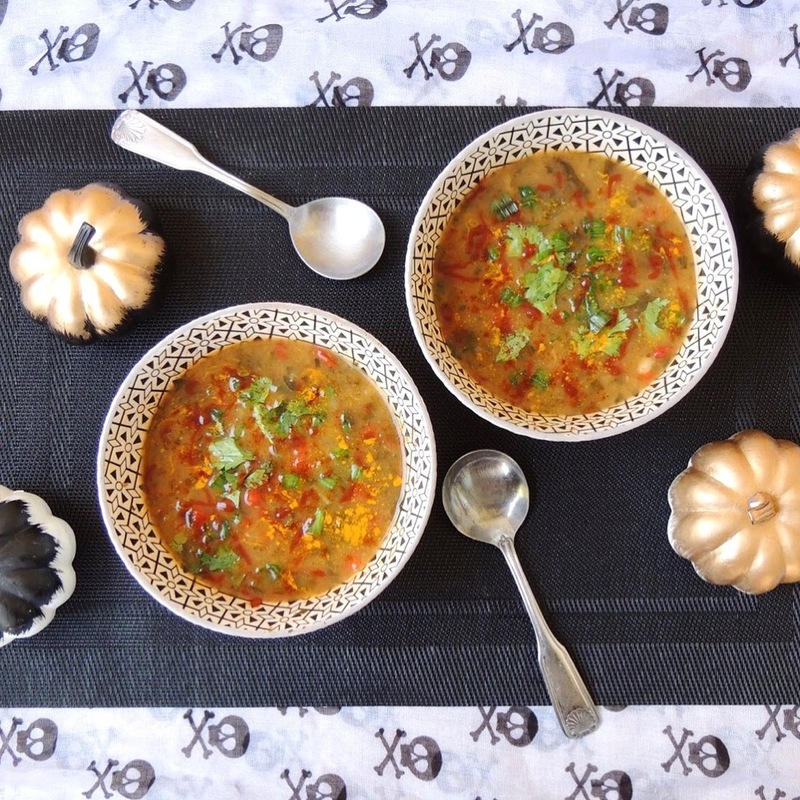 Nothing says fall time like a comforting, hearty soup. My Vegan White Bean & Butternut Squash Soup will fill you up and leave your home smelling amazing as well. Everyone will be clamoring to the kitchen! 1) Heat the olive oil in a heavy-bottomed stock pot over medium heat until shimmering. Add the butternut squash, and cook, turning occasionally, until just beginning to caramelize and soften, about 4-5 minutes. Transfer the butternut squash to a plate. 2) Add the onion to the pot, and cook, stirring occasionally, until soft and translucent, and just beginning to brown. Add the garlic, and cook for another minute or two. Add the vegan butter, and as it melts, stir in the herbs. Let cook for another minute or two until the onions are lightly golden. 3) Add the butternut squash back to the pot, along with the lemon juice and stock, and stir to combine. Cover, and bring the stock just to a boil, then turn the heat down to low, and let simmer uncovered for about 15 minutes. Season with salt and pepper, to taste. 4) Add the white beans and torn kale leaves, and continue to simmer until warmed through, about 3-5 minutes. If using a more delicate green, such as spinach, add right before serving. Serve warm with crusty bread and I like to top with plenty of sriracha. Enjoy!